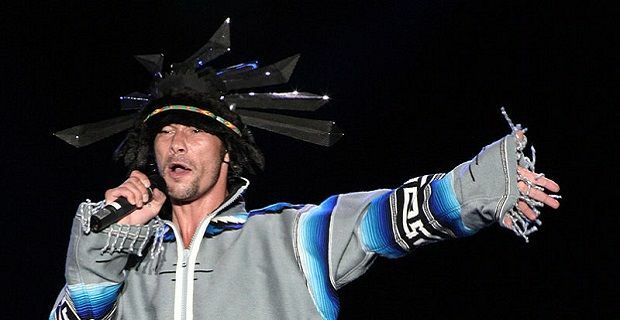 Although rumours suggest that his daily driver is a 2003 Honda Accord, Jamiroquai’s lead singer Jay Kay is one of the nation’s most fanatical car collectors with over 60 exotic and classic cars in his garage. Ever wondered what he’s got at his disposal when he fancies a drive? Well, we’ve taken a peek inside and found a few notable cars that are worth shouting about in the Jay Kay car collection. The Grammy Award-winning English musician is definitely living the rock star life. His home has a go-kart track and a garage full of super cars. As he’s a big Ferrari fan, you won’t be surprised to read that his collection includes a lairy bright green Ferrari LaFerrari, definitely the only one in the world in that colour, a Ferrari 550, a Ferrari Enzo, as well as a 1967 concept car called the Ferrari Vignale 330 GT which was showcased at the 1967 Turin Show. Although the prestigious German marque was not Jay Kay’s first love, he’s started to develop affection for the brand and his garage now includes a few examples, most notably various 911s. The most prized Porsche in his collection has to be a Porsche 911 2.7 RS in purple. It’s part of a collection that also includes a black 356 Speedster, and a 911 GT3 RS in orange livery. A Frua-bodied Maserati A6 G2000, a Lamborghini Miura SV, an Aston Martin DB5, Mercedes-Benz G-Class, a Maserati Quattroporte and a Classic Fiat Abarth 1000 are also part of the man’s ever expanding collection of classics and super cars, some of which get him in deep trouble. The singer’s been clocked at 105mph on the public road, a speed for which he got a 6 month ban from doing what he loves the most – driving.